This blog discusses Southwest Florida Real Estate. This area includes Fort Myers, Estero, Bonita Springs and Naples. We'll talk about Homes for Sale, Real Estate News, Real Estate Terms...basically anything Real Estate. Straight from the IRS website, here are some details on those considering a Short Sale or other loan workout with their lender. The late-December enactment means that reporting procedures for this law change were not incorporated into tax-preparation software or IRS forms. For that reason, people using tax software should check with their provider for updates that include the revised Form 982. Similarly, the IRS is now updating its systems and expects to begin accepting electronically-filed returns that include Form 982 by March 3. The paper Form 982 is now being accepted, but the IRS reminds affected taxpayers to consider filing electronically, which greatly reduces errors and speeds refunds. The new law applies to debt forgiven in 2007, 2008 or 2009. Debt reduced through mortgage restructuring, as well as mortgage debt forgiven in connection with a foreclosure, may qualify for this relief. In most cases, eligible homeowners only need to fill out a few lines on Form 982 (specifically, lines 1e, 2 and 10b). The debt must have been used to buy, build or substantially improve the taxpayer's principal residence and must have been secured by that residence. Debt used to refinance qualifying debt is also eligible for the exclusion, but only up to the amount of the old mortgage principal, just before the refinancing. Debt forgiven on second homes, rental property, business property, credit cards or car loans does not qualify for the new tax-relief provision. In some cases, however, other kinds of tax relief, based on insolvency, for example, may be available. See Form 982 for details. Borrowers whose debt is reduced or eliminated receive a year-end statement (Form 1099-C) from their lender. For debt cancelled in 2007, the lender was required to provide this form to the borrower by Jan. 31, 2008. By law, this form must show the amount of debt forgiven and the fair market value of any property given up through foreclosure. The IRS urges borrowers to check the Form 1099-C carefully. Notify the lender immediately if any of the information shown is incorrect. Borrowers should pay particular attention to the amount of debt forgiven (Box 2) and the value listed for their home ( Box 7). The good news is starting to surface. The credit crisis is working itself out (although we still may see some fallout at some of the big banks, like we saw at Bear Stearns a few weeks ago), the interest rates are low, loan limits are rising, buyer confidence is increasing and there are still plenty of good deals to be had in the residential real estate market. This is a positive turn of events in what has been a steady stream of bad news report after bad news report. I think we can all agree that we won't see any sort of meteoric rise in the housing market, but that backs up the school of thought that if you are thinking of buying a home, don't wait. You won't know we hit bottom until you're looking back a few months at it and you (and all the sellers) have read articles discussing "when" the bottom was. Try negotiating with sellers then, we're already seeing them hold their ground on the asking prices. Sales of existing homes increased in February and remain within a fairly stable range, according to the NATIONAL ASSOCIATION OF REALTORS®. Existing-home sales – including single-family, townhomes, condominiums and co-ops – rose 2.9 percent to a seasonally adjusted annual rate of 5.03 million units in February from a pace of 4.89 million in January, but remain 23.8 percent below the 6.60 million-unit level in February 2007. The sales pace has been in a fairly narrow range since last September. The national median existing-home price for all housing types was $195,900 in February, down 8.2 percent from a year earlier when the median was $213,500. Because the slowdown in sales from a year ago is greater in high-cost areas, there is a downward pull to the national median with relatively fewer sales in higher priced markets. Before a home owner curses the troubled housing market, he or she should take solace in the U.S. tax code, which makes buying a home a good deal for almost everyone. Mortgage interest deductions, including in some cases mortgage insurance premiums, reduce home owners’ tax liability by reducing income. The deduction includes interest paid on both a first and a second home. Interest on home equity loans is also deductible — whether the borrower uses the money to remodel the kitchen or to take a vacation to Disney World. Profits from selling a house are potentially a huge windfall. When a home owner sells a primary residence, any profit on the sale of the property is tax free up to $250,000 for single home owners and $500,000 for married home owners filing. Any profit above that is nearly always a long-term capital gain taxed at 15 percent — less if the seller’s tax rate is less than 20 percent. Home owners can itemize. That opens up opportunities to deduct a host of other items that wouldn’t be deductible if the taxpayer took the standard deduction. Email Jeff or call him directly at 239-823-1783 with any questions or to discuss how to make ownership work for you! "Lease to Own"...Is it the right option for you? I get a lot of questions from sellers concerning a "Lease to Own" deal on a property they are trying to sell. It is a great option for some sellers, but may not be a good idea for every property. This article came from the Daily Real Estate News in the Orlando Sentinel, it gives you a real quick run down of how they work. Drop me an email with any questions and I'll address them here, there's a good chance somebody else is wondering the same thing. - A seller agrees to rent a property to an interested buyer for a set period of time, usually one to three years. At the end of the lease, the buyer has the option to purchase the home at a preset price. - A portion of the monthly rent paid during the lease is usually counted toward the down payment. To cover that, the seller charges a rent increment or monthly premium of $200 to $300 compared to comparable rentals. - Many owners also charge an option fee for taking the property off the market, usually 1 percent to 2 percent of the sale price. This may be applied toward the purchase. -Sellers have no guarantee that renters will buy at the end of the term, but if they don’t, they keep the option fee and the amount of the rent that would have gone toward the down payment. This is a great article I found on the Florida Realtors Association webpage that gives great details of a recent survey of 1,000 adults nationwide that believe the time is right to buy a home. Click here for a link to the article. The reasons include: lower prices, higher inventory levels (=more choices) and historically low mortgage rates. The good news is starting to increase and locally we've been much busier in SW Florida. That tells us that buyers are realizing that the time is right. You'll never perfectly time "the bottom" of the market, I believe that you are better off buying now with more choice and lower interest rates than down the road when you may not get the home you want and a higher interest rate will cancel out and monthly savings you made in waiting for the price to come down a few more thousand dollars. ATLANTA – March 26, 2008 – Recognizing that the current market favors buyers, 77 percent of respondents in a MarketTools survey said that the time is right to buy a home – a 20 percent increase compared to a similar January survey. Beazer Homes, USA, Inc. commissioned the survey. Three of four surveyed (74 percent) agreed that the availability of homes for sale combined with special incentives make this a true “buyer’s market,” and more appeared ready for action. Sixteen percent of survey respondents report that they plan to purchase a home as their primary residence within the next 12 months – a 45 percent increase over the January survey results – and 28 percent are currently saving for a downpayment. Nearly three-quarters of experienced buyers surveyed – those who have purchased one or more homes – urge renters to buy a home as soon as they are financially able to do so. Sixty-two percent of experienced buyers agree that current mortgage interest rates make this a “favorable time to purchase” a home compared with 44 percent of potential first-time buyers. When it comes to purchasing their next home, seasoned buyers are looking for a better location (28 percent), a bigger home (25 percent) and more modern features (18 percent), according to the survey results. First-time home buyers rank the need for a bigger home (28 percent), investment potential (27 percent) and the desire for a better location (23 percent) as the primary motivations for their first home purchase. The survey of 1,006 adults nationwide, between the ages of 25 to 72 with minimum household incomes of $40,000, was conducted by MarketTools on behalf of Beazer Homes, March 10-13, 2008. The margin of error is plus or minus 3 points for all adults. So, not only do my listings go out automatically to over a dozen websites the day they hit the MLS, but with vFlyer now I can even promote them to buyers through a blog like this or on my website at http://www.jeffcody.net/. The Plantation Golf & Country Club in Fort Myers is Open! I've got to tell you about one of the newest Golf communities in Fort Myers. The Plantation is a community that was designed by Centex and has been open now for a little more than a year. The golf course, however, just opened a few months ago. I had the priveledge of playing the course just after it opened as one of their Preferred Realtors and it was incredible! The 18 hole track was designed by the Hurdzan/Fry team and they did a wonderful job. They kept a lot of the natural environment preserved and with over 1600 acres in the community, they had plenty of room to work with. Check out another great video for some great photos of the course. Situated conveniently near the Daniels/Treeline intersection (I-75 exit 131 - See this map), this location is central to anything you want to do. Shop, go out to a restaurant, go to the beach, pick someone up from the airport and more...all within minutes. 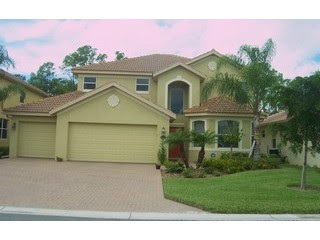 I've got great news...this home on McGregor Blvd in the Town & River community of Fort Myers, FL has just been REDUCED! The price is now $299,000 and the seller is looking for offers. It is now a short sale, email me if you have any questions about how that works. I believe this is the perfect time to buy. Who would've ever thought you could get a 2300SF pool home ON McGregor for under $300,000?!?! ALSO, we are planning on holding two OPEN HOUSES this weekend. Stop by between 1-4 on Saturday and Sunday, 3/15 and 3/16. Check this out for the Flyer for details: http://jeffcody.vflyer.com/home/flyer/home/1293707. This home even has it's own website...this is great: http://www.myhzm.com/7107. It's a Buyer's Market, Happy Hunting! Check out this home for sale. It is located on McGregor Blvd in Fort Myers, FL , just south of Cypress Lake Drive/Daniels Parkway. The price has just been lowered to $339,000 and the sellers will even pay $2,500 towards the buyer's closing costs. It is one of the lowest price per square foot homes in the Town + River area. I am also including a Free 1 Year Home Warranty. Check out the pictures below and let me know what you think. The sellers are the original owners and they've taken great care of this gem. They've recently updated the kitchen, with new Granite Countertops and Maple Cabinets, and a new brick paver lanai surrounding the large pool. At 1/3 acre, the private yard is more spacious than what is available in most developments today. Aren't low HOA fees of only $60 per YEAR a welcome change too? I've got a good feeling this home will sell soon based on the activity we're seeing, check out the pictures below and give me a call if you have any questions. The updated kitchen is great, don't you think? They chose some great colors for the granite and maple cabinets. It's such a wide open floor plan, you can be cooking and still have a conversation with your guests or family. This is a great pool, with a new brick paver lanai that overlooks the 1/3 acre landscaped yard. Check out some more pictures below. So, in my last post I mentioned a client of mine that was deciding on putting an offer in on one of two homes she liked. One was a short sale, and one was just a great deal in a good location. You can look back at my last post to read about short sales, or email me if you have questions. She decided to try to buy the short sale home, which already had an offer in on it. It was a bit risky because it may have taken weeks to hear from the bank whether they were going to accept the current offer or not, and then whether they would accept our backup offer or not. Short sales can be great deals, but they are a little more complicated, time consuming and frustrating for just about everyone involved. Be sure you know what is involved before you journey into the world of the short sale/pre-foreclosure. Here's why: You can place an offer and wait for 30-45 days for the banks decision and if they deny your offer, you have to start the process of looking for your dream home all over again. That's not too big a deal if you're like my clients: renting and in no immediate hurry to move. They just want to make sure they're getting the best deal. Unfortunately, the bank did come bank and deny the short sale as of earlier today. Luckily, we had just put the offer in this week, the poor folks who put in the previous offer had been waiting almost a month! So I was showing property yesterday to an awesome client who is looking for a single family home in Fort Myers/SW Florida. Wouldn't you know it, out of the 9 homes we looked at, the one she really liked was the one that had just received an offer yesterday. As I write this, she and her husband are still considering putting in an offer to compete with the first. But, we also got to see a home that is a short sale that would be a fantastic deal, maybe even a better deal long term. The problem is that because it's such a good deal it has had an offer at the bank awaiting approval for 2 weeks now. So they're considering offers on both of those great deals! What makes these homes bring in multiple offers in a market where most homes are languishing on the market? #1 is the Price, they are both realistic and fair. I can very easily show my client why it is such a good deal using the data from the MLS. Secondly, the homes were prepared to be shown, ie. clean, no clutter, clean carpets, fresh paint, staged (or furnished) and most of all...no smells (don't laugh, it happens!). Email me or check out my site @ http://www.jeffcody.net/ for ideas on how to ensure your home is prepared to be shown to potential buyers. I'll let you know how this situation turns out! Just a quick "Hello" to 2 of my online real estate/blog friends: Brian @ http://activerain.com/blogs/azbrady and Dustin @ http://www.raincityguide.com/author/dustin . Two great guys with great advice, thanks guys! As a sign of the times, the country's largest mortgage lender, Countrywide Financial, was reportedly bought today by Bank of America, making the Charlotte, NC based financial giant now the leading lender. There had been speculation for some time, especially after B 0f A made Countrywide a $2B loan late last summer for a 16% share in the company. Many believed Countrywide was on the verge of declaring bankruptcy, leading to a list of questions of what would happen then. The $2B loan helped their position temporarily, but when they own 1 out of 5 loans in America, it was just a matter of time. We've seen a list of lenders go out of business in the past 6 months, but the possibility of Countrywide adding to the list made many worry. With short sales and foreclosures up recently, many lenders are having financial problems because many home sellers are facing financial problems. If you're not familiar with a short sale, I'll explain a bit about them, but feel free to email me with any questions. A short sale is a situation where the home seller is behind in payments and is facing foreclosure if he doesn't sell or bring the payments current. More importantly, the home is no longer worth what is currently owed on the home. For example, you owe $200,000 but the home is only worth $150,000 in today's market. Ideally, you would want to just wait until the home appreciates enough to sell it and break even or better. But many investors or home owners in financial troubles can no longer afford the homes. The investors thought they could sell the home in plenty of time and make a nice profit. We're seeing a lot of that in the Fort Myers real estate market. The numbers of SWFL homes for sale has risen to record numbers. It is a great time if you are a buyer though, there are some great deals to be had. Email me if you'd like to know some of the best. I've got to run, I'm actually going to show a couple this afternoon. Welcome to the SWFL Real Estate Blog I have recently created on Blogger. I am excited to generate some interesting posts relevant to Florida Real Estate and in general, Southwest Florida homes for sale. Please feel free to comment as much or as little as you'd like. My goal is to create a forum that everyone feels comfortable participating in. You can see a little bit about me from the, um, well... "About Me" section of my blog, so I won't bore you. But if anything interests you, real estate related or not, please don't hesitate to drop me a line. Perhaps you're a Great Dane fan, like myself. Maybe you're a private or commercial pilot, let's talk. Or you love music almost as much as I do, send me your favorites, here's mine . You may want to know the value of your home, or what the best buys in SW Florida are today, just let me know. Some posts will be about something that just happened in the Real Estate Market, a good buy or news that may help you save on insurance or taxes. Whatever the post...I hope you enjoy. After serving in the US Air Force and flying commercially for a few years I was faced with a third Airline layoff in 4 years (thanks to 9/11, oil/fuel prices, airline competition & poor management). This gave me the chance, though, to break out and explore my entrepreneurial side in the field of Real Estate. With an investor's eye I immersed myself in the industry, and soon was drawn to the nuts and bolts of helping my clients buy and sell Real Estate. Investing is always my goal, but now I get to help others achieve their goals as well.